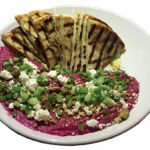 When a trio of cheerful colleagues recently proposed a happy-hour outing at Farmer’s Bottega Restaurant, I didn’t hesitate to accept. They had informed me the establishment gained its full liquor license sometime last year and I hadn’t set foot in the place since then. 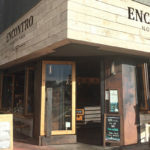 In that visit back in 2016, I decompressed from a long workday at the restaurant’s intimate bar over a kombucha mojito, which tasted neither here nor there. The probiotic tipple left me with a light buzz that was quickly soaked up by a substantial plate of bruschetta. 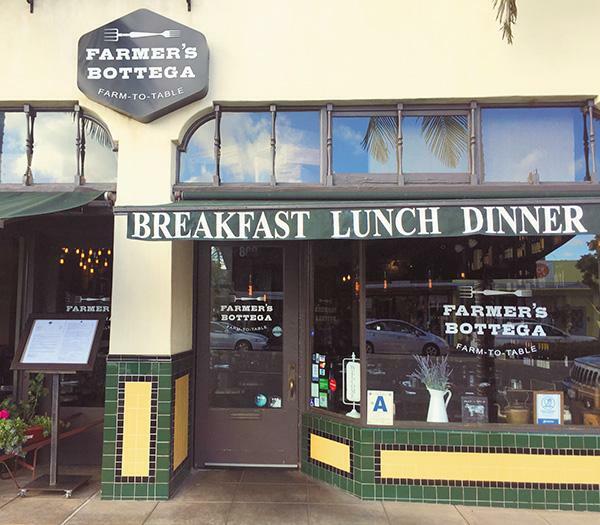 For no particular reason, Farmer’s Bottega had tumbled off my radar. Though house wines and select craft beers are still dirt cheap during happy hour (only $6 per glass), I zeroed in this time on the real cocktails, priced at only $2 more. Bar manager Shannon Pierce not only does wonders with the alchemy of the drinks, but she also hooks them into charitable causes via the ingredients she purchases. The “all for one,” for example, uses Proper No. 12 Irish Whiskey, which donates a percentage of its national sales to first responders. 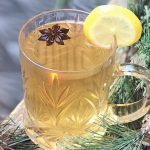 With a blend of fresh lemon juice and rosemary-infused syrup in the mix, the drink’s coddling, seducing flavors are yet an added benefit. 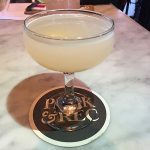 Or if you get something made with Elephant Gin or Greenbar Gin, you’re contributing to either the protection of elephants in Africa or U.S. programs that aid the homeless. 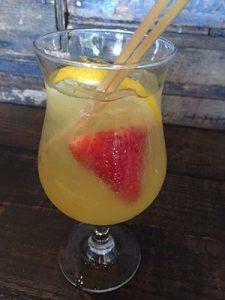 There are also a few cocktails that offer $1 kickbacks to certain nonprofits, such as Urban Street Angels (Bottega lemonade), the Mission Hills Heritage (house sangria), and PAWS4Thought Animal Rescue (salty dog). 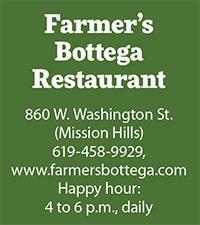 Pierce says effort to give back to various organizations is ongoing at Farmer’s Bottega. As various other drinks occupied our table, such as a sprightly white sangria blending sauvignon blanc with bourbon, triple sec and fresh lemon and orange juices, we encroached on a fabulous flatbread served on a large wooden board and topped with golden heirloom tomatoes. 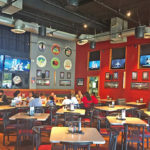 It’s $10 during happy hour, although a good number of food items are $8 or less, such as house-made meatballs, mahi or pork belly tacos, truffle fries and more. 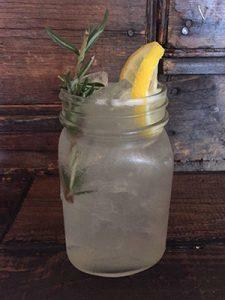 Farmer’s Bottega lives up to its name by using farm-sourced ingredients for much of its drinks and dishes. 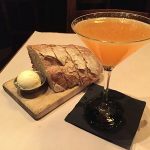 Its daily happy hour is an excellent prelude to a dining concept that focuses on Italian-inspired fare and as of late, crafty cocktails that offer kick.